Dear Dr Jack N Linespeed, I will soon be embarking on my Spey journey and getting into fishing with a two handed rod. I’m thinking I will start with a switch rod! Is that a good idea? NO, no, no! Don’t under any circumstances start with a switch rod! You must start with a spey rod, not a mini spey or a switch. The reason most fishermen don’t want to start with an actual long spey rod is because they are ashamed of fishing with a great big ol’ rod for less than behemoth sized fish. They fear they will get made fun of by the other fishermen. Well, you will get made fun of by the other fishermen. That’s part of the mystique of fishing with a rod that’s too big to be practical to their un-renewed minds. So you’ll need some thick skin. Yes, its embarrassing. Often, I will be practicing on a smallish stream with a wide spot and I will be using a 15 foot rod. Passers by will say “A spey rod on the Crooked river? You don’t need a spey rod on the Crooked river!” and they shake their heads in contempt and keep walking. What they don’t understand is that not only do I not need a spey rod, I don’t need a 15’#10 spey rod with a 70′ head and the hook chopped off of the fly. I used to leave the hook intact and actually catch 3 to 4 inch chub on my long rod. So when casual observers ask if I’ve caught anything I could say, why yes, but they were all small. Sometimes I tell them I’m just practicing my casting. They think I’m nuts. So now I just say I’m “playing in the water”. They are somewhat less suspicious, but they still have this look in their eye like they are going to report me to the Park ranger. So you need to start with a 13 footer. You need to come out of the closet and admit to the world that you don’t use ultralight tackle for every form of fishing. You use a long rod because they are easier to learn on, they are so fun to cast with, and if you catch an averaged sized Steelhead you will still feel all the tug you need. 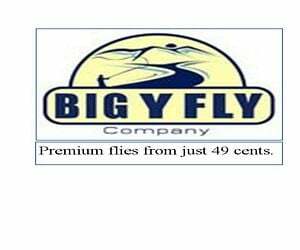 Its easy to find a used 13 or 14 footer in the spey classifieds Why? Because everybody is going to shorter rods! It’s true. People are starting to catch on to the fact that you can land a pretty nice Steelhead on a teeny little rod and you can also feel a smallish, feisty trout on those same rods! Fishermen are finally figuring out that you don’t need a 400 grain shooting head to catch a 300 grain trout. Tackle is getting lighter. Shooting heads are getting smaller. Its a revolution I tell ya! Get on board! In summation, you will need a minimum of two rods to begin your spey journey. A 13′ spey rod, and an 11′ switch rod. Actually you will need three since those itty bitty trout are much more fun on a single hander. They have dainty single hand spey lines so you can make all of those cool and efficient casts with a one hander. That’s a total of 5 rods because sooner or later you will want a 15 footer and you will also need a 6.5′ 2/3 so you can be the inventor of the smallest spey rod in the whole wide world! You will also need many, many lines and sinktips for all of these new rods you will be getting. I would also recommend a really good marriage counselor, preferably one who will let you borrow his 16 foot Mieser, because that will be next on your list. PS. Would it be possible to borrow the 16′ Mieser when your are done giving it a whirl?